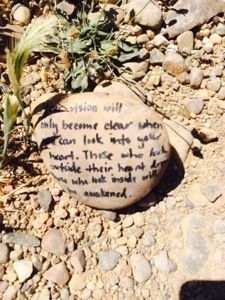 I walked past this rock on our pathway. Someone had left this thoughtful message. Your vision will only become clear when you can look into your heart. Those who look outside their heart dream.